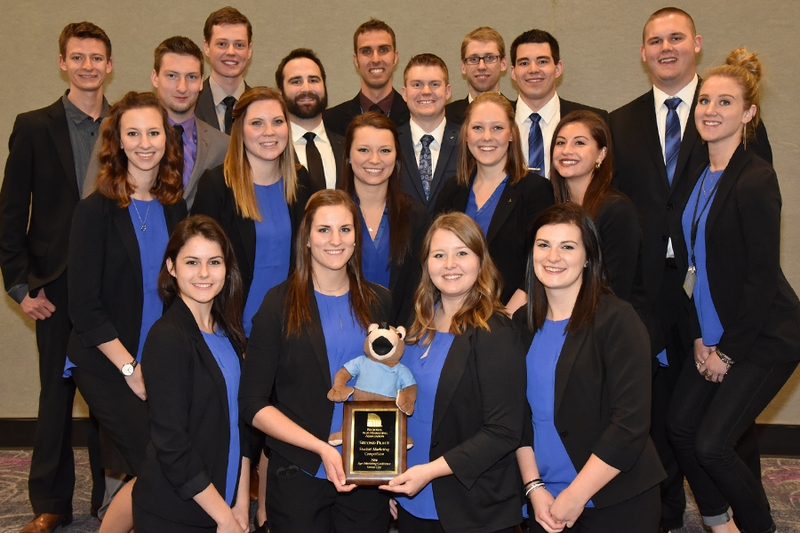 The Canadian Agri-Marketing Association (CAMA) Saskatchewan student chapter at the U of S placed second in an agri-marketing competition against 29 other agricultural universities. At the competition, held at the National Agri-Marketing Conference in Kansas City, Mo. April 13-15, teams were required to come up with a product and present a marketing plan. The U of S team, which included students from the College of Agriculture and Bioresources and the Edwards School of Business, pitched their product, "Go‐Fer‐It" oatmeal smoothie, was marketed as a filling, healthy snack for children who live a busy and active lifestyle. While proud of their accomplishment, it is the practical application of their education that stands out. The competition provided a unique opportunity to apply what they have learnt in the classroom before starting a job. "A class gives you lots of knowledge and book smarts but this group applies that knowledge that you learn in class and puts it in a context where you can apply it to a professional setting," said Bayley Blackwell, incoming president of the CAMA Saskatchewan Student Chapter. See more on the College of Agriculture and Bioresources website.